Make A Donation – Town & Country K9 ResQ, Ltd. Giving Assistant is a fast, free, easy way to donate to Town & Country K9 Resq Ltd. on a consistent basis while shopping online! 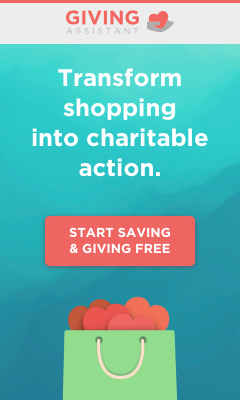 That’s because Giving Assistant provides shoppers with more cash back earnings, as well as an easy way to donate a percentage of those earnings to organizations like Town & Country K9 Resq Ltd. Just shop, earn, and choose how much to donate. Giving Assistant facilitates everything. Start using Giving Assistant to donate to us today! You’ll also enjoy huge savings at 3,000+ popular online retailers like Lowe's and JC Penney, and great deals like exclusive 6PM coupons!